A new GPS-powered mobile app from Just Ahead turns smartphones into hands-free audio tour guides of America’s national parks. Just Ahead’s app and audio guides work even where cell phones, Internet, and Wi-Fi won’t, to stream interesting stories spliced with geography, history, and even driving directions while cruising through a national park. One example is Just Ahead’s Death Valley National Park audio guide, which recently garnered the Best Travel App award from the North American Travel Journalists Association. This award is due, in part, to the levels of professional travel writing and narration that present the myriad stories of each national park. Content writer and editor Bob Howells has twice won the Society of American Travel Writers (SATW) Lowell Thomas Gold Award for adventure travel writing. Just Ahead utilizes GPS technology to know exactly where drivers are on the road, and delivers stories and maps relevant to their location. Just Ahead also helps drivers avoid getting lost by providing helpful suggested directions. Just Ahead tells drivers why they should turn or not, what they should do after a turn, and recommends the best direction to take if there are multiple route options. As of mid-winter 2015, Just Ahead apps are available for the following parks: Yosemite, Zion and Cedar Breaks, Bryce Canyon, Joshua Tree, and Death Valley. An additional 12 national park guides are in production, including Grand Canyon, Sequoia, Kings Canyon, Yellowstone, Grand Teton, Capitol Reef, Arches, Canyonlands, Petrified Forrest, Canyon De Chelly, Monument Valley, and Mesa Verde – with many more to come. Just Ahead started with US national parks because they are treasured natural assets that are visited each year by 292 million people from around the world (2014 set a record for national park visitation). But the company intends to go beyond the parks. In the future, Just Ahead will offer guides for other major road trip destinations, including California Highway 1, Route 66, the Blue Ridge Parkway, the Hawaiian Islands, and many others. 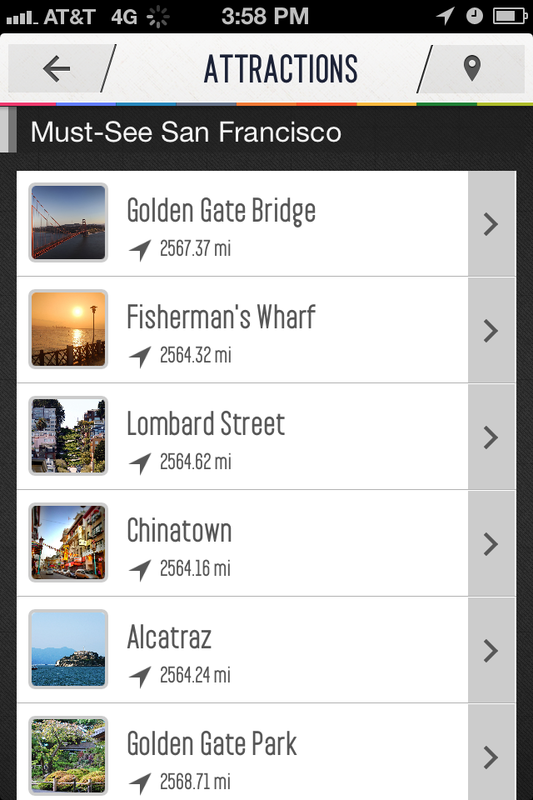 The Just Ahead app is a free download, and each destination guide is available as an in-app purchase. Guides range from $7.99 – $9.99 and include a free trial and free guide updates. For more information, visit: http://www.justahead.com. 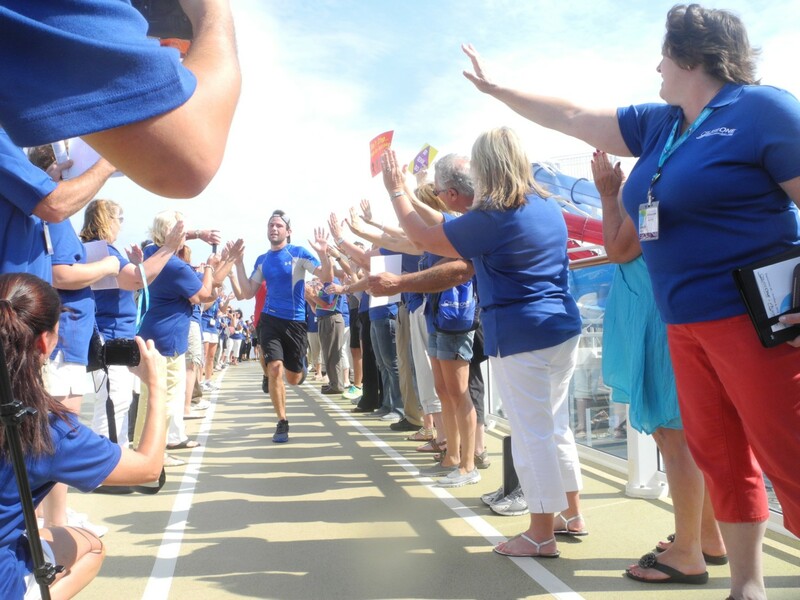 The best way to learn about the deals being offered by major cruiselines and sort through the myriad choices is to go through a travel agent or cruise-agent, and one of the leaders in the field, CruiseOne franchise and Cruises Inc. network of hosted home-based agents has made the information more accessible with a newly introduced mobile website. CruiseOne franchise and Cruises Inc are part of World Travel Holdings, with 13 entities that collectively sell $800 million worth of cruises. Cruisegoers benefit from their collective buying power, inventory and relationships with the cruise companies. On the cutting edge of technology and meeting the demands of its new and existing customers, CruiseOne® and Cruises Inc.® announced the official launch of their mobile-friendly consumer websites CruiseOne.com and CruisesInc.com at its annual National Conference onboard the Norwegian Breakaway. “With smart phone capacity growing and online cruise travel searches up 48 percent year over year according to Google, it was only natural for us to take this next step in providing a mobile-friendly shopping experience,” said Sandi Szalay, vice president of information technology at CruiseOne and Cruises Inc. who oversaw the creation of the mobile platforms. The new user-friendly mobile sites provide a lean version of the homepage, cruise search/cruise finder and cruise line promotional pages. New features include “Find An Agent Near You” enabling users to search for an agent by geographic location according to zip code or state, as well as an option for consumers to sign up for free promotional emails offering exclusive vacation deals. CruiseOne and Cruises Inc. agents’ personal websites are also now mobile-friendly, providing an improved shopping experience that makes it easier for consumers who are not near a computer to shop for deals and research itineraries. For information, visit www.CruiseOneFranchise.com or www.SellCruises.com. Say you are planning to travel to from New York City to Montreal. Is it cheaper to fly or drive? When planning a trip, start with a free online tool to decide whether flying or driving makes more sense to get from point A to point B. The Fly or Drive Calculator (http://www.befrugal.com/tools/fly-or-drive-calculator/) factors in time taken, cost and carbon emissions. 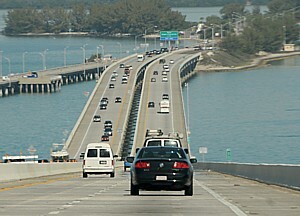 Use the Fly or Drive Calculator from money saving website BeFrugal.com to determine the best travel mode for your next trip in a few minutes or less. Simply enter your starting location, destination, travel dates, number of travelers and whether or not it is a one-way trip. Next you can fast forward to results or insert more detailed, optional information such as the vehicle you’d drive, number of hours to drive daily, hotel cost per night, tolls, airports, time at the airport, flying costs (transportation to and from the airport, checked bag feeds, plane ticket pricing, etc.) then view your customized results. A detailed comparison of your travel options is shown to compare the door-to-door time, total cost and CO2 impact. BeFrugal.com now provides average coupon savings of 27% per order for online purchases plus an average rate of 7% cash back. · Deals are also posted (these do not require a promo code). For example, see the BeFrugal page for Marriot http://www.befrugal.com/coupons/store/marriott. Codes, deals and cash back are all available. MyCityWay is a situationally-aware smart app available for use in over 100 cities worldwide including 40 U.S. cities. Visitors have a new mobile app to help them navigate a city. MyCityWay is a situationally-aware smart app available for use in over 100 cities worldwide including 40 U.S. cities. Bringing in the utility of more than 30 different Apps, MyCityWay applies artificial intelligence technologies once reserved for high-powered algorithmic trading to making navigating a city easy, fun and personalized. Funded by the City of New York and BMWi Ventures (the venture capital company founded by BMW Group), the MyCityWay app harnesses information from hundreds of content partners, cross-references it to ensure validity and instantaneously prioritizes information according to the users’ needs and preferences by uniquely marrying location, intent, timing and information from their social graph. · Play: Purchase tickets to tours and attractions across the city and identify free activities, including cultural centers, landmarks, museums, art galleries and parks. To download the app, visit iPhone/iPad, Android, Blackberry, Nokia or MyCityWay Download Page. A year after launching its free app, JustBook maintains a leading position in Europe for mobile hotel bookings at the last minute, recording 400,000 downloads of the app. JustBook is now seeing record bookings as a result of a new collaboration with Miles & More frequent flyer program. Effective as of January 10, 2013, JustBook users collect award miles with Miles & More, the prestigious frequent miles program of Lufthansa and associated airlines. This offer is available for all hotel bookings with JustBook at over 1,000 hotels in 46 cities across Europe, independent of specific hotel chain brands. This latest initiative makes JustBook the first hotel network enabling its members to earn miles “while they sleep”. The offer adds to existing collaborations, including the latest strategic media partnership with the Swiss Federal Railway (SBB). JustBook (www.justbook.com/en) is a leading app for spontaneous hotel bookings in Europe. Every day, three to five selected hotels per destination can be booked from 10 am until 2 am the next day, for the same night. Since are last minute bookings, users typically enjoy savings of up to 50 percent over prices available online. Currently, JustBook is available in 46 European cities including London, Edinburgh, Berlin, Frankfurt, Amsterdam, Madrid and Zurich. The JustBook app is available for free on iPhone, Android and BlackBerry. JustBook offers hotel customers low rates for same day bookings. The company claims that its prices for last minute mobile bookings are between 20 and 50 percent lower when measured against the prices available on the internet. The company also points to its customer service. In emergency situations, the customer service team is available on the phone until 2.30 am to assure a good night’s rest for all bookings. Especially during this snowy season that causes chaos at airports, JustBook provides reliable help. Two-thirds of JustBook customers are business travelers who use the app to travel to meetings at short notice. Also, users turn to JustBook when a meeting runs over its allotted time. However Justbook is also useful for spontaneous weekend trips and getaways.